To me there is nothing better than dough stuffed with fruit. I mean seriously. Add some ice cream to the finished project and that could be breakfast, lunch or dinner for me. It’s especially nice when I get to share it with friends. This galette can be made with just about any type of combination of fruit. It can be made from frozen fruit or fresh fruit. This one here is made from frozen fruit. And it is scrumptious. It took everything in me to let it cool a bit before I took a heaping scoop of ice cream and tore it apart. This is the perfect dessert for company or a bbq because it is simple to make and everyone will think you spent so much time making it. Enjoy! In a medium mixing bowl, combine flour, sugar, brown sugar and salt. Mix together until combined and any lumps from sugar are gone. Add in berries to the flour mixture and toss together. Prepare a baking sheet by placing parchment paper on the sheet. Roll out the pie crust dough and place on the parchment covered baking sheet. 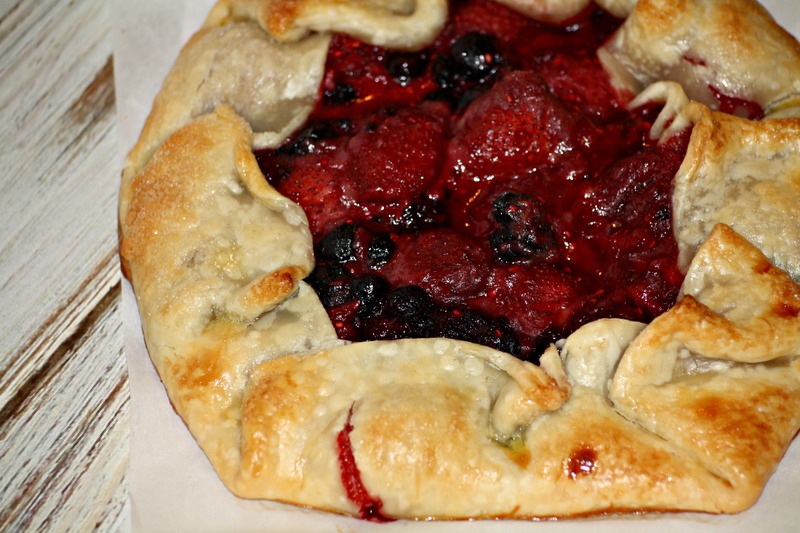 Place the berries in the center of the pie dough. 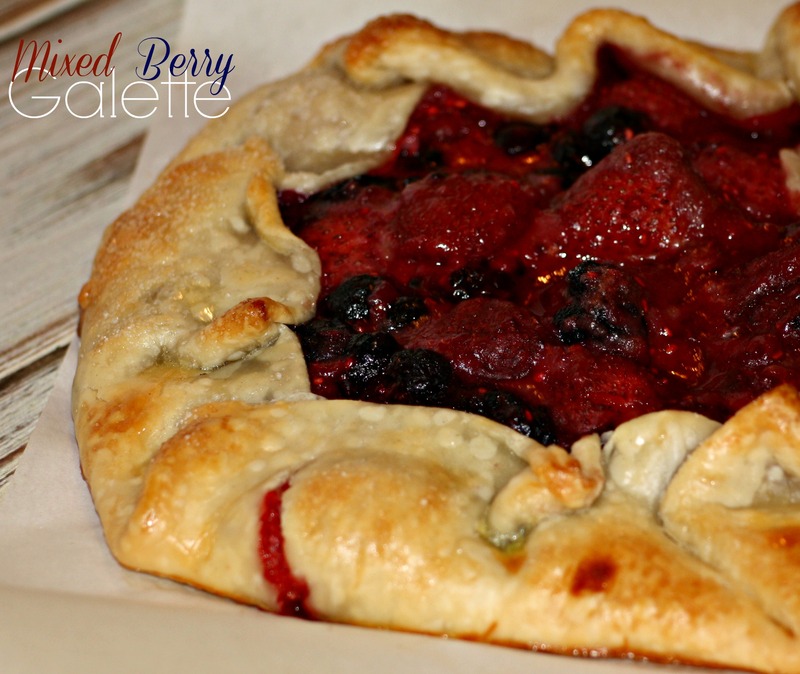 Fold up the pie crust over the berries and pinch together. In a small bowl, add egg and water. Stir together. Using a pastry brush, add the egg wash to the pie dough. Sprinkle with sugar. Place baking sheet in the oven for 27-30 minutes.